The race for the 2015 Vodafone Fijian FACT title has intensified after the second day yesterday. In Pool A, All Freight Logistics Suva, North Pole Hotel Labasa and Rewa have one last chance to make the semifinals today. Suva inched closer to the semifinal slot after beating newcomers Tailevu/Naitasiri 4-0 at Prince Charles Park in Nadi yesterday. The Babasiga Lions beat Rewa 1-0. Labasa holds a slight advantage as the Pool A leader with six points, but will need a win or draw to secure a semi-final spot. Suva will need to beat Labasa well, and Rewa must do the same against Tailevu/Naitasiri to remain in contention. In Pool B, 4R Electrical Ba will need to win if they expect to make the semifinals following their scoreless draw against Coastal Rentals Nadroga. 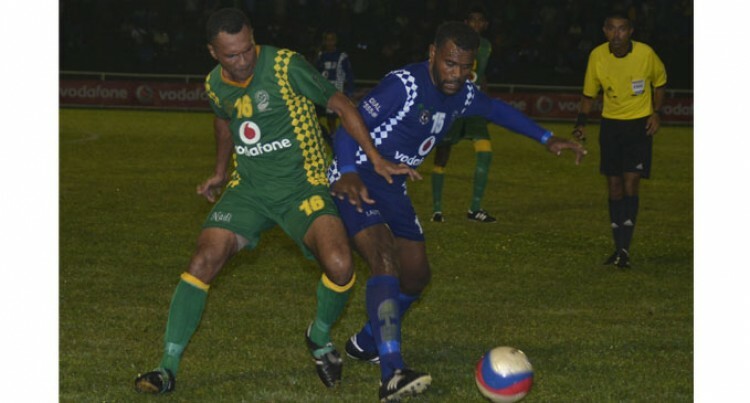 Meanwhile, defending champion and host Jack’s Chicken Express Nadi lost 3-2 to a spirited Shop and Save Lautoka. All teams in Pool B will need to win their games today.